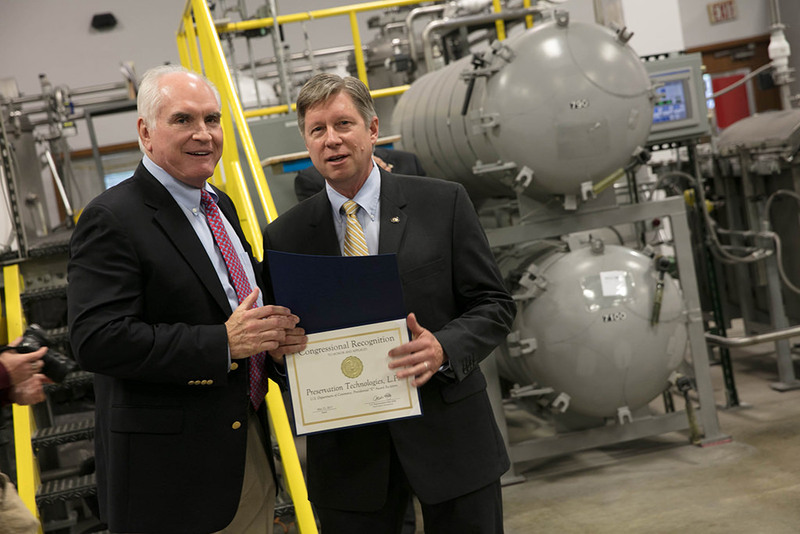 Rep. Mike Kelly presents the Congressional Recognition in honor of the President‘s E Award to Preservation Technologies CEO Jim Burd. 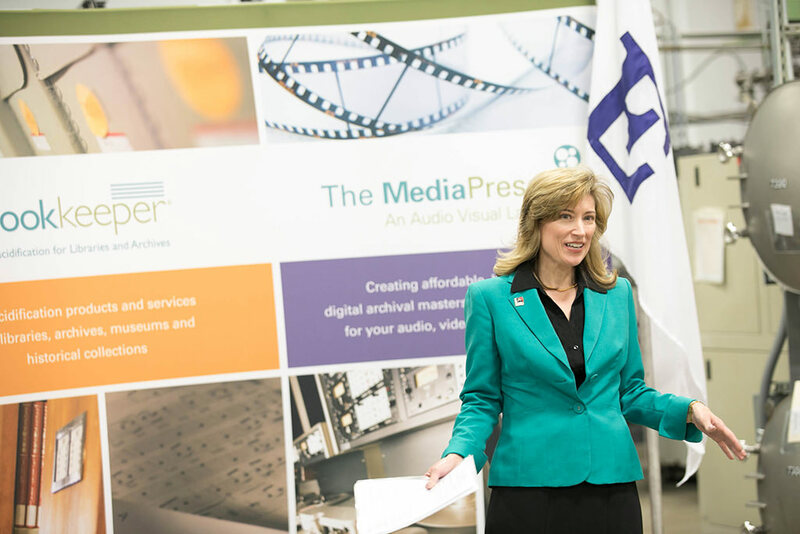 Lyn Doverspike, Director, U.S. Commercial Service Pittsburgh, speaks about the President‘s E Award at Preservation Technologies. The Preservation Technologies team celebrates receiving the President’s E Award with local government leaders. “Preservation Technologies has demonstrated a sustained commitment to export expansion. The “E” Awards Committee was very impressed with Preservation Technologies“ pursuit of export opportunities through international trade events and trade missions. The company‘s commitment to education foreign buyers to develop a market abroad for products not previously exported was also particularly notable. 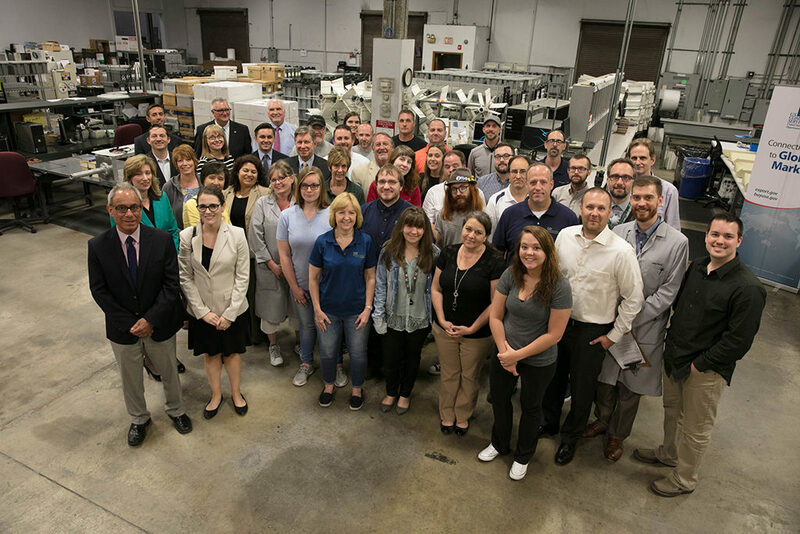 Preservation Technologies‘ achievements have undoubtedly contributed to national export expansion efforts that support the U.S. Economy and create American jobs,” said Secretary Ross in his congratulatory letter to the company announcing its selection. Preservation Technologies (PTLP) is a company dedicated to helping universities, academic institutions, cultural entities and private companies preserve and maintain access to their collections. PTLP was founded on the guiding principle of bringing engineering and innovation to the field of cultural preservation.